When the enemy whispers lies that we are not smart enough, pretty enough, rich enough, too loud, too quiet, too thin, too fat, too much, or not enough, it can be overwhelming and difficult to feel confident and excited about where life is headed. 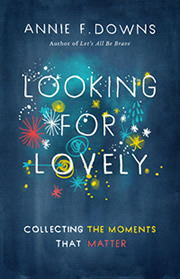 In Looking for Lovely (B&H Books), author Annie Downs shares personal stories, biblical truth, and examples of how others have courageously walked the path of God paved for their lives by remembering all God had done, loving what was right in front of them and seeing God in the everyday. Intensely personal, yet incredibly powerful, Looking for Lovely will spark transformative patterns and life changing conversations. No matter who you are and what path God has you on, we all need to remember the lovely and find the beautiful in our every day. 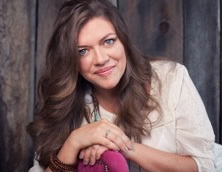 Annie Downs is also a speaker and blogger based in Nashville, Tennessee. Flawed but funny, she uses her writing to highlight the everyday goodness of a real and present God. An author of three previous books — Let's All Be Brave, Perfectly Unique and Speak Love — Annie also loves traveling around the country speaking to young women, college students and adults. 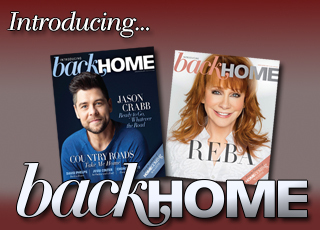 She is a huge fan of bands with banjos, glitter, her community of friends, boiled peanuts and football games.